Anyone who visited the orphanage and heard the children sing “We love Ambuya” would know how much she has been appreciated and loved by the children and staff. We welcomed Mrs Irene Chinyama as the new mother in charge of St Nicholas Orphanage Village. Mrs Chinyama holds an advanced certificate in Social Development and is also studying for a diploma with Mulungushi University. We wish Mrs Chinyama all the best as she continues to settle in to her important role at St Nicholas Village! 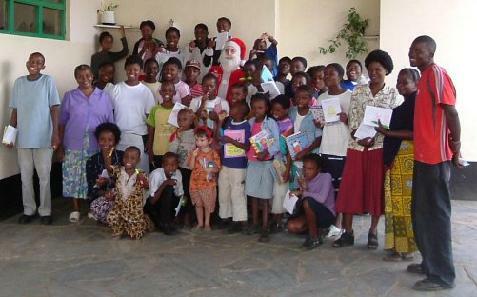 There remain about 30 children at the orphanage at any given time, generally slightly more girls than boys. Our newest arrival is Nicholas, less than one year old. 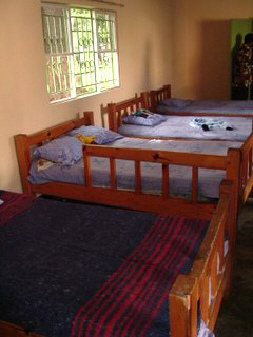 Closely connected with the orphanage is the Home Based Project, supporting orphans outside of the centre. We support 12 children with school fees, 4 at Secondary School and 8 at Primary School. We also supply a bag of mealie meal every month to 8 families. The requests for support are very high. Due to our frequent and sometimes prolonged power cuts, the orphanage (as well as other residents at the center) have for a long time had the need of a hand pump for water. Thanks to financial assistance from our friends in Holland, a pump was installed in October 2008. You can see a photo of the pump on our new blog page, here. This has made life much easier during long power cuts! 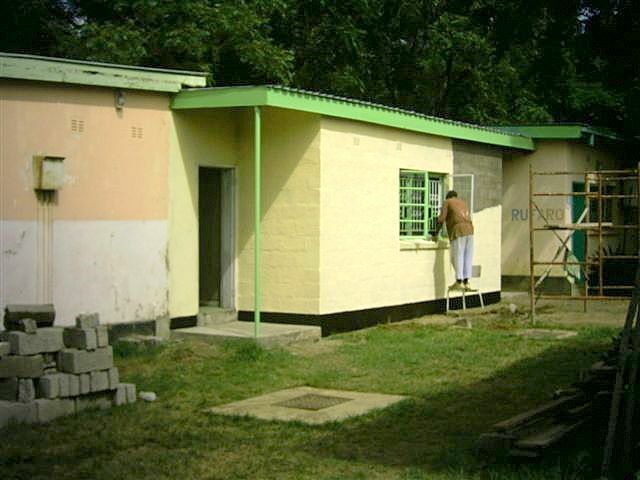 Extensions to the orphanage buildings, funded through support from Holland and Canada, have been completed in 2008 and there are now boys and girls dormitories. 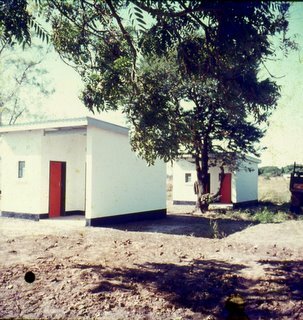 The original, separate buildings were designed as accommodation for families and this meant that our children had less of a communal aspect to their sleeping quarters than we wanted. We now have extended and joined some of the original separate houses into dormitory areas, an example of which you can see here. We also had a very generous donation of blankets from a local donor, one of which you can see in this photo. All children receiv ed a blanket. Yvonne Kars and family from Holland also donated clothes and shoes in November 2008. The play park (see video here), recently upgraded by Jan and Truus Veldkamp, continues to be in heavy use and is a much enjoyed facility for all children who spend time at the centre. It is not uncommon to see the children on the two largest swings going high enough to touch the leaves of the mango trees growing nearby! The television and music facilities remain popular for showing movies such as the Lion King and The Sound of Music. Many new DVDs have been donated by generous visitors, such as the Lowes. We have to work hard to keep the TV off at times! There is a very nice new covered area built (thanks to your donations!) between the kitchen and main hall, so that there is now a much larger and bright space for food preparation and play in rainy weather. 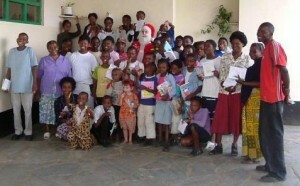 You can see the area in the group photo here, taken at a recent St Nicholas Day party. The children no longer receive High Energy Protein Supply food supplements from Project Concern International. Regular walks around the grounds of the centre have continued and repairs have been made to basketball hoops, which suffered some over-exuberant slam dunking! The children continue to enjoy crafts such as making fruit into decorative bowls and using “scoubidou” to make bracelets. Aunty Christine is also helping the children with their homework, when we do not have volunteers, and also doing handicrafts with them. They have done some very nice beadwork making covers for milk jugs.